Product | Single Use BatteriesOur selection of alkaline to lithium single use batteries in sizes from AAA, AA, C, D, 9V and more. 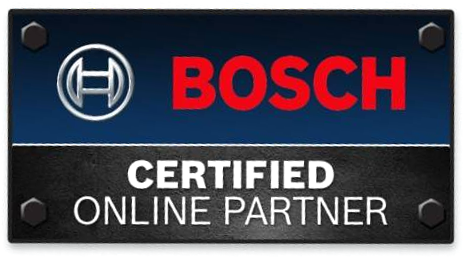 The BOSCH Self-Leveling Cross-Line and Plumb Spots Laser Level is built to provide bright red horizontal & vertical lines, points, and plumb points. Comes with a ceiling grid clip to make easy work of plotting the grid lines for suspended ceilings. Includes VisiMax™ which helps to extend battery life by monitoring power consumption and making automatic adjustments as necessary. This level is built to IP54 standards and has a splash water, and dust protected housing, protecting the level and making it suitable to use in indoor or outdoor environments. The included magnetic rotating mount makes it possible to get 360° measurements! Get up to 65' range unaided! This class 2 laser's lines and points can be turned on together or independently of each other to provide you with the measurements you need for a wide variety of projects. 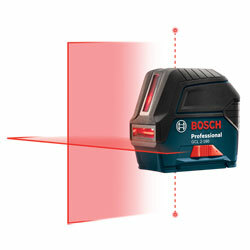 Get a laser range of 65' unaided and up to 165' with a receiver or bright lighting conditions. 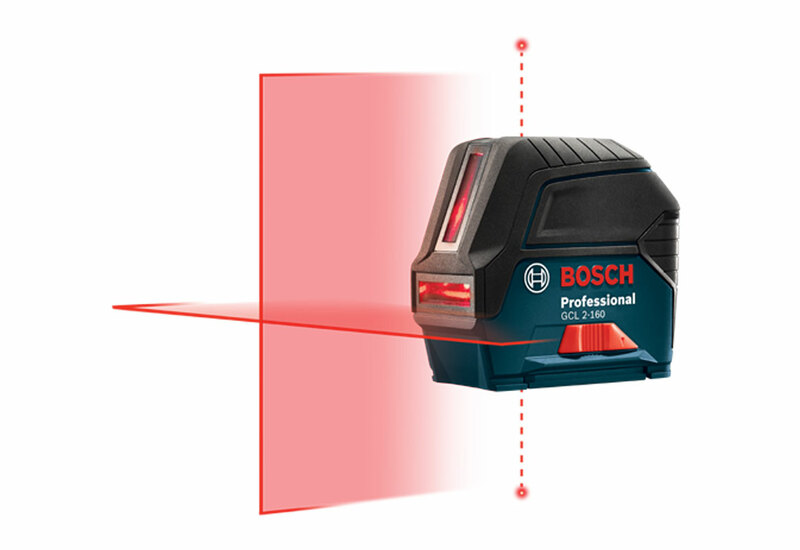 This laser self-levels at an accuracy of up to ±4°, let's you know when it is out-of-level and has a manual mode allowing you to conveniently lock the lines at any angle, for any job. Range - LR2 Receiver: Up to 165 ft.